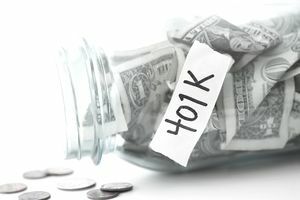 When you fund your employer-sponsored 401(k) plan, this money grows and, over time, can turn into a nice nest egg to draw upon during retirement. Borrowing from your 401(k) isn't the best idea, especially if you don't have any other savings to put toward your retirement years. However, when it comes to a financial emergency such as personal bankruptcy, your 401(k) can offer loan terms that you won't be able to find at any bank. Before you make a decision to borrow, make sure you fully understand the process and the potential ramifications. Below are seven things you need to know about 401(k) loans before you take one. Your 401(k) is subject to legal loan limits: There is a maximum loan amount set by law. If your 401(k) plan does allow loans, the law states that the maximum amount you can borrow will be $50,000 or 50 percent of your vested account balance, whichever is less. Your vested account balance is the amount that belongs to you; for example, you may have to stay with your employer for a set amount of time before the employer contributions belong to you. The employer may require a minimum loan amount of $1,000. Your loan must be repaid through payroll deductions: 401(k) loan repayments are set up through automatic deductions from your paycheck. The longest repayment term allowed is five years, though there are exceptions. Most repayment plans are structured as monthly or quarterly payments. Some 401(k) plans do not allow you to contribute to the plan while you are making loan repayments. One thing to watch out for: if you lose your job while you have an outstanding 401(k) loan. You may need to repay the balance quickly, or risk having it be categorized as an early distribution. You will pay yourself interest: The interest rate on your 401(k) loan is determined by the rules in your 401(k) plan. The interest rate is typically set up as a formula, such as "Prime + 1%". You pay the interest back into your own 401(k) account balance. Despite this, most of the time taking a 401(k) loan hurts your future retirement savings. Your plan does not have to allow loans: Some 401(k) plans allow a withdrawal in the form of a 401(k) loan; some do not. You must check with your 401(k) plan administrator or investment company (you can find their contact information on your statement) to find out if your plan allows you to borrow against your account balance. Some companies will allow multiple loans; some allow none. When your employer set up the 401(k) plan they decided whether the plan would allow loans or not. You cannot borrow from an old 401(k) plan: If you are no longer working for the company where your 401(k) plan resides, you may not take a 401(k) loan. You may transfer a balance at a former employer to a new 401(k) plan, and if your current employer plan allows for loans then you can borrow from there. If you transferred your old 401(k) to an IRA, you cannot borrow from IRAs. It is best to know all the rules before you cash out or transfer an old 401(k) plan. Use your borrowed 401(k) money wisely: Research on 401(k) loans and defaults shows 39 percent of loans are used to repay debts and 32 percent for home repairs or improvements. Other major uses included automobiles, college tuition, medical costs, and vacation or wedding expenses. About 40 percent are used for investment purposes, and 35 percent are used for consumption purposes. Avoid spending your money frivolously. Taking out a loan to repay debt is dangerous, as your 401(k) assets are protected from creditors. Keep in mind that money removed will miss out on potential market gains. At the time you take a 401(k) loan you pay no taxes on the amount received. However, if you don't repay the loan on time, taxes and penalties may be due. If you leave employment while you have an outstanding 401(k) loan, your remaining loan balance is considered a distribution at that time, unless you repay it. The 2018 Tax Credit and Jobs Act (TCJA) extended the repayment deadline from 60 days to the day your federal income tax return is due. If the loan is not repaid according to the specific repayment terms than any remaining outstanding loan balance can be considered a distribution. In that case, it becomes taxable income to you, and if you are not yet 59 ½, a 10 percent early withdrawal penalty tax will also apply. About 10 percent of loans go into default due to a job change, and not enough resources to satisfy the loan.